Click on the video link for your personal tour. Fantastic opportunity to own this large 4 bedroom cape cod style family home on 78 acres in Highland Glen! Approximately 2400 square foot home with huge country kitchen, patio doors off family room and a wood burning fireplace in the sunken living room. 4 spacious bedrooms on the second floor with a 3 piece ensuite off the master. Basement has rec room with wood stove as well as guest room and roughed in plumbing for a full bath. There is an attached 24x48 insulated garage/shop as well as a 20x22 detached storage garage and a 20x40 3 stall barn on a concrete footing which is ideal for hobby farm animals. 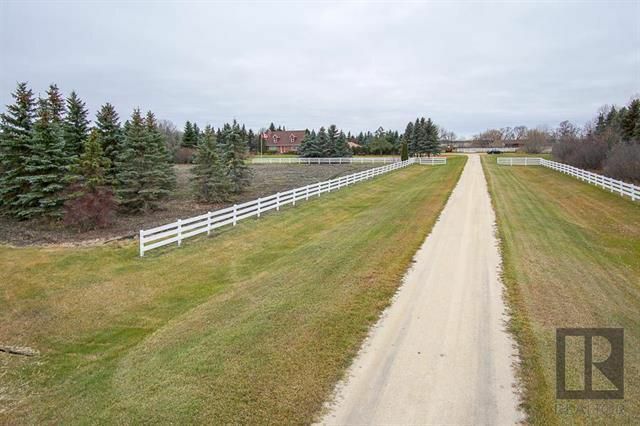 Gorgeous yard site with mature spruce, pine, and cedar trees. Plenty of room for gardening. There is also over 40+ acres of cultivated land currently rented out for additional income or use it yourself for market garden, hobby farm , etc. Great opportunity to put in your personal touches and make this the home of your lifetime.